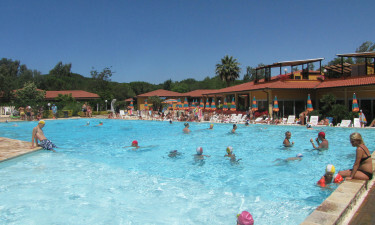 Free Beach luxury camping site is situated in Marina di Bibbona, on the Etruscan coast of Italy. It is surrounded by the magnificent Tombolo pine forest, and is in close proximity to the sea. Families love the first-class amenities and entertainment at the site, which is within easy access to the famous cities of Florence and Pisa. For more exciting information please visit: Lux-Camp. There is a great choice of camping holiday accommodation, such as a bungalow tent, a luxury tent or a mobile home. Entertainment includes swimming pools, fishing lakes and football fields, as well as table tennis, volleyball, a large children's recreation area, and a playroom. There is also lots of entertainment organised by the holiday camping site staff. 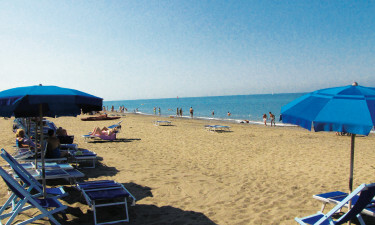 Why Should I Camp at Free Beach in Marina di Bibbona? The Etruscan coast has some spectacular Medieval villages and artistic regions, as well as intriguing shops. The forests are wonderful to walk or ride a bicycle in, and there is a horse riding school 3 kilometres from the camp site. A day trip to Florence or Pisa is very easy to arrange, and it will give you a chance to soak up the marvels of Italian culture, architecture and art. Camping luxury means having all you need within the site. Here you can find enticing restaurants, snackfood outlets, and a friendly bar. There is also a supermarket with fresh produce and wonderful local food.